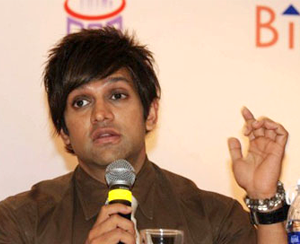 Yash Birla Group companies in deep trouble? Moneylife Foundation has been receiving complaints from its members that they are not receiving their fixed deposit maturity amounts from two Yash Birla Group companies namely Zenith Birla (India) and Birla Power Solutions. Is there financial trouble brewing in the group? 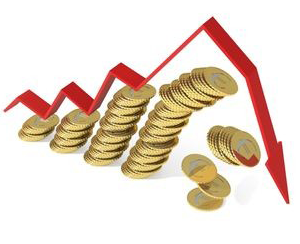 The economic slowdown and its impact on corporate performance is now beginning to hurt investors who have trusted their money to unsecured fixed deposits of a clutch of companies. Investors are writing to us to complain that they are not getting back their maturity proceeds from two Yash Birla Group companies, Zenith Birla (India) and Birla Power Solutions. The Yash Birla Group of companies has been struggling, if the share price is anything to go by. As you will see from the table below, none of the Yash Birla Group companies are quoting at double digits. Out of the eight companies, all but one gave negative returns since 1 March 2013. Is there trouble for the group that the shareholders do not know about? Recently, the Chennai-based Apollo Hospitals called off its joint venture with the Yash Birla Group, citing delays in obtaining approvals. Interestingly, fixed deposits-related issues plagued Zenith Birla (India) and Birla Power Solutions. The latter had problems paying its tax dues as well. According to the annual report, Birla Power Solutions not only did not issue fixed deposit receipts but the auditors also discovered there was a shortfall in liquid assets too. More pertinently, the auditors also discovered tax arrears with respect to dividend distribution tax and sales tax. However, the company admitted that the financial crunch made it more difficult to bridge the shortfall and pay taxes. It said, “The company could not pay the dividend distribution tax of Rs261.54 lakh and the arrears of sales tax due of Rs23.64 lakh due to severe financial crunch. The company will pay these dues as soon as the financial position improves.” Similarly, it could not bridge shortfall of Rs9.31 lakh due to poor economy. 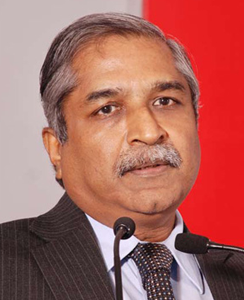 Birla Power Solutions has fixed deposits to the tune of Rs57.92 crore as of 31 March 2012. The company too claims that there are no unpaid deposits. Another company, Birla Cotsyn, has Rs5.61 crore of fixed deposits with no unclaimed fixed deposits. The company defended its position by stating that the delay was due to changing its registrar. The statement said: “The company had changed its registrar to the Fixed Deposit scheme from Link Intime India Private Limited (Link Intime) to Adroit Corporate Services Private Limited (Adroit) in the month of January 2012. The company thought it prudent to change the registrar due to better services and upgraded software used by Adroit as compared to Link Intime. As Adroit had to set up the Fixed Deposit system post shifting of the records from Link Intime, there had been a small delay in issue of Fixed Deposit Receipt.” As of 31 March 2012, Zenith Birla has fixed deposits of Rs33.19 crore, but claims that it has not defaulted on them. Moneylife sent an email to the Yash Birla companies for their responses. Till the time of writing the story, we have not received any answers from them. We will incorporate their answers as and when we receive them. - FDR No. 52774 Dtd 20/09/10 of Rs. 1.00 Lac for a period of 3 Yrs. Already matured on 25/08/13 & amount payable on maturity is Rs. 1.38,867. Original FDR sent back through Karvy 12/08/2013. Receiving any reply from Company / Registrars on re-payment. - FDR No. 555283 Dtd 30/06/12 of Rs. 1.00 Lac for 3 Yrs, Interest payment half yearly. No Dividend recd for 2013-14. - FDR No. :12180 Dtd 27/08/2011 (Non-cumulative)for 3 Yrs, Interest payable half yearly. No interest warrant for the period beyond 01/04/2012 has been received. Though, apart from Company & Registrar, matter has been taken up with Ministry of Corporate Affairs,Delhi & Mumbai / Registrar of companies, Delhi & Mumbai and Company Law Board, Delhi & Mumbai through many mails & letters. Unfortunately none replied. EVEN NON ACKNOWLEDGED ANY CORRESPONDENCE. Adroit Corporate Services Pvt.Ltd. 17-20, Jaferbhoy Ind. Estate, 1st Floor, Makwana Rd. Company Secretary MR Vimal Dubey at (022)67933062/ 09702020726. But nobody answered my e-mails or Phone till date after repeated trials. How to get your money back from Yash Birla group companies? i had invested in Birla power solution is october 2010,company has not paid intrest of 2012-13,and now i sent it for maturity which is in dark? How Mr Yash Birla looks so funky and rich ? I put Rs. 10,00,000/- Ten Lac as Fixed deposit for three years with ZENITH BIRLA (INDIA) LTD. after maturity on 15 - Sep - 2013 the amount due is Rs.13,88,670/- Company did not pay any money nor any explanation. Company has received my duly discharged receipt with its new registrar. But registrar said company is in deep trouble. What can I do to get my money? none of my investor's have recd sofar any RP for their investment in Fd of birla power since long..so co claim is wrong..they are cheating the public..for inf of all concerned--thanks--dipak gandhi..mob--9427611361..
ZENITH BIRLA(INDIA) LTD,FDR NO 52881We regret to inform you that we have not received the payment of our fdr no 52881 dated 14/10/2010 for Rs. 35,000/-for 36 months, which was due on 14/09/2013. We have already send a duly stamped and signed fdr before a month.Maturity amt is Rs.48,258/ -We request you to please send the maturity amt immediately. I followed up for a month and was able to get my Rs 6-Lakhs. Beside complaint to MoCA, I complaint to law board, as mentioned in my previous comments. I received my 6-lakhs, hard-way after a month of FD maturity. There is little hope that people will get their money back. Birlas are politically influential people, they can manipulate the law. Auditors are also hand in gloves, they get their fees. Gridlock at the power centre? 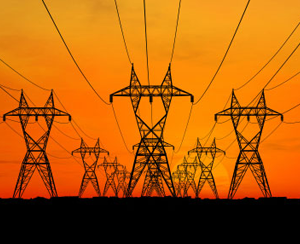 According to Power Secretary, P Uma Shankar, the southern region, which is not connected to the National Power Grid will face an estimated 26% deficit during this fiscal. Power Grid Corporation of India (PGCIL) has sought the permission of the Central Electricity Regulatory Commission (CERC) to upgrade its stations to enable them to implement the Smartgrid mechanism. This is estimated to cost Rs655 crore and may be completed in three years after receiving the approval. Naturally, this is likely to be accomplished in several phases as work progresses. Why did not think of this earlier, is another question. There are five grids in operation, viz, Northern, Eastern, Western, North-Eastern and Southern. Apart from the Southern grid, all other grids are interconnected. This year, apart from Southern, North-Eastern grid is likely to face a shortfall of 10% while the Northern region may be hit by a negligible shortfall of 1.3%. However, should there be a fall in power production itself, for any reason, these estimates will go haywire. All these figures will change, should the government decide to come to the rescue of Pakistan and supply it the much-needed power in that country, to show our sincere feelings to establish our continued brotherly relations with our neighbour. Anyway, because of the transmission constraints, there is a restriction in the flow of power particularly between the North Eastern and Southern regional grids. However, as stated earlier, this is likely to improve by next year, as per the power secretary’s statement. Once the Smartgrid plan is implemented by PGCIL, for which it has sought the assistance of Indian Institute of Technology in Mumbai, it expects to prevent tripping and help in smooth flow. But, as a sequel to setting up the Smartgrid, Discoms (state electricity distribution companies) will have to upgrade their inter-state checking transmission systems involving expenses, but this will reduce power outages and thefts. Also, once the “smart meters” are installed, households can programme their electricity use and consumption is likely to come down by 20-30 units for each consumer, thus reducing the monthly bills. It is hoped that CERC (Central Electricity Regulatory Commission) would whole-heartedly support and approve this move by PowerGrid, but what is lamentable is the need to seek permission to introduce such beneficial programmes to the consumer. Public need to be served. PowerGrid, and others like it, which can bring such benefits to people at large, need to be able to act independently to take such steps, without waiting for approvals! After all, why did PowerGrid not think of this earlier? It must take immediate steps to reduce the time frame for this project from three to two years, if not less, while it awaits the approval from the CERC, which is likely to take some 30 days to give its decision! UK’s BP plc has asked the Indian petroleum ministry to compensate for a Krishna Godavari basin block that it is being forced to surrender after defence ministry restrictions made oil and gas exploration impossible. 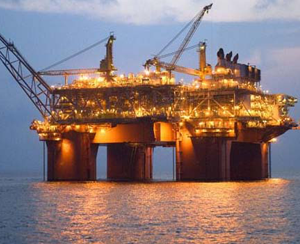 BP along with Reliance Industries had won the deep-sea KG-DWN-2005/2 or KG-D17 block in the seventh round of auction under New Exploration Licencing Policy (NELP) in 2008. About 70% of the 1,949 square kilometres of the block falls in an area where DRDO and Navy exercises are conducted and has been classified as “Impact Zone” where oil and gas operations are not possible, BP wrote to the oil ministry on 27th May. BP vice-president (exploration) Alistair JA Bent wrote that the company appreciated that ministry of defence requirements for testing and carrying out exercises have led to the introduction of significant risk and high uncertainly beyond the control of contractors. “We would therefore be prepared to relinquish the KG-DWN-2005/2 (KG-D17) block, but are happy to discuss possible options in lieu of such relinquishment,” BP said. BP had written a similar letter in April. Since the block size is small, flexibility to make any design changes to mitigate the impact of defence ministry requirements was severely restricted, it said. “Even if any hydrocarbons are discovered, those cannot be produced as contractors (RIL-BP) would be prohibited from installing any permanent infrastructure in support of petroleum operation,” it added. BP said due to the restrictions it will not be able to meet the minimum work commitment it had given at the time of winning the block. The company had committed to do 2D and 3D seismic survey of the entire block. “However, we are willing to consider an option to carry out a similar level of activities if equivalent new acreage is given in a mutually agreed area for exploration,” Bent wrote. Previously, Cairn India had told the oil ministry that a large part of its KG basin block has become operationally infeasible because of new limitations imposed. Cairn on 26th April wrote to the ministry that 35% of its KG-OSN-2009/3 block is “No-Go” area, which runs right through the block, leaving small portions on either side for exploration.